The holiday season is one of our favorite times of year, but not because of the Christmas cookies around the office. As a company dedicated to providing the tools you need to hold flawless performances, we love seeing all of the performing arts events taking place across the country. From choral concerts and wind ensembles to full orchestra events featuring professional performers, these productions often become a special family tradition. In Waverly, Iowa, this annual celebration is Wartburg College’s Christmas with Wartburg. 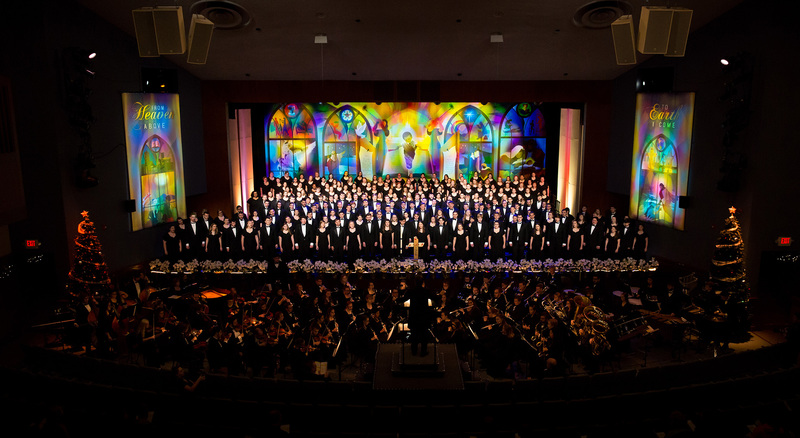 Christmas with Wartburg has been a musical tradition at Wartburg College for the past 70 years. And over the past three years, the team behind this impressive musical series has been able to truly showcase their talented performers. After decades struggling with the challenges of an outdated, mid-century building with extremely dry acoustics, Wartburg College was looking for solutions. In 2015, we worked with them to update their Neumann Auditorium with one of our virtual acoustics solutions: the state-of-the-art Transcend® Active Acoustic System. Wartburg has embraced its virtually limitless possibility ever since. Virtual acoustics is an innovative approach to controlling sound within your performing arts spaces and musical rehearsal rooms. We worked with HARMAN to create two amazing products that feature our virtual acoustic technology: Transcend Active Acoustic System and VAE® Rehearsal System. With virtual acoustic technology you’re no longer limited by walls, cubic feet, obstruction, or materials, and at the touch of a button these systems can change how you practice and perform. Transcend Active Acoustic System is a cutting-edge, minimally invasive performance product that provides “non-regenerative” simulated acoustics in even the smallest and driest venues. This unique approach removes the architectural restrictions in your performance space so that you can create the perfect environment for any event you produce. 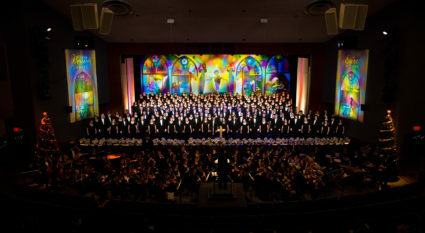 At Wartburg College’s Neumann Auditorium, this meant being able to transform a dry acoustical space that wasn’t fit for choir or orchestra performances into a cathedral-like venue built specifically for classical choral works. Designed to be efficient and cost-effective, Transcend enables you to control and enhance your acoustic environment by using only two to four microphones. Whether you’re looking to transform your acoustics in a performance center, theater, auditorium, arena, or worship space, our Transcend Active Acoustic System can deliver an enhanced sound experience through a simple touchscreen interface. Virtual acoustics can also go beyond your performance space with the VAE Rehearsal System. This powerful tool provides students, instructors, and performers with the opportunity to learn how to play or sing in different acoustical environments without leaving the rehearsal room. You can change your acoustics at the touch of a button while also recording and playing back passages for immediate feedback and effective music learning. Christmas with Wartburg airs on select public television stations across the country throughout the holiday season. To make it a part of your holiday tradition, check your local listings for more information. To see, hear, and experience Virtual Acoustics in person, stop by the Midwest Clinic in Chicago this December 19-22, 2018; contact us to receive exhibitor passes or additional information. If you are not attending the show this year, look for upcoming demonstrations near you by clicking here.